plc and comprises volunteers who are prepared to do practical work on the station on Fridays. Head of Department is John Earl. The 'Friday Gang' meet on Fridays(!) 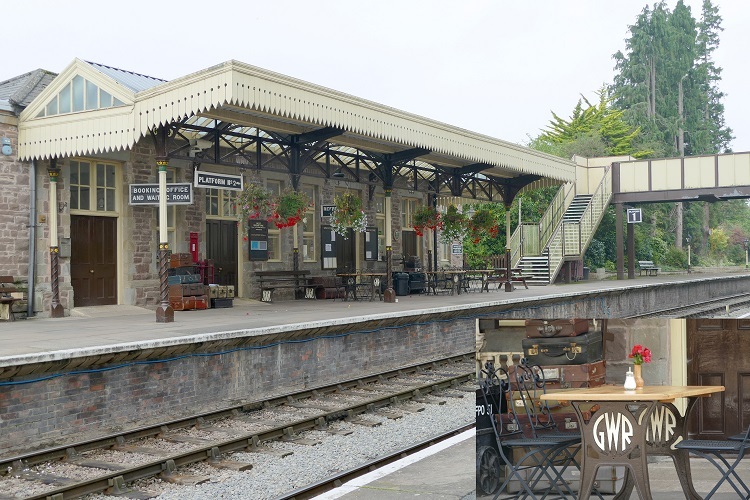 to carry out a range of uncomplicated tasks in caring for the gardens, buildings and platform accessories, all elements which contribute to the overall setting for the trains which call at the station. 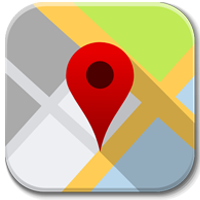 The hours are usually between 10.00 and 16.00 and are as flexible as is convenient. 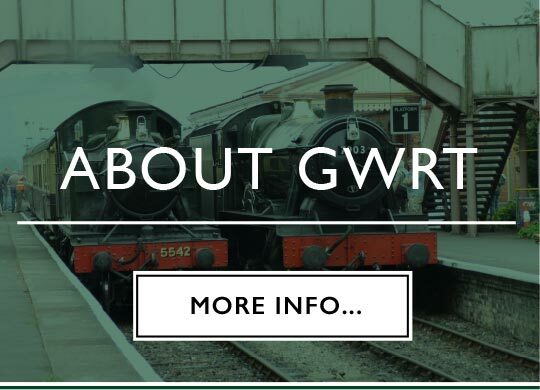 We take a morning break at 11.30 and break for lunch at 1 o`clock on most days in our mess room which is a converted GWR Guards Van. Skills necessary are basic DIY, gardening and a love of tidying up, although if you want to learn more advanced and varied skills, such as building, the opportunities are usually available. As the site develops there will be opportunities to learn museum and archiving skills, and there will always be opportunities for anyone interested in writing and display. 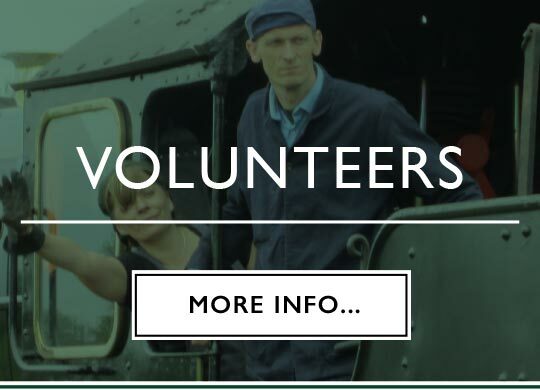 Other opportunities for anyone interested and competent can involve maintaining and working our machines or scything on the banks (we take a pride in being pioneers in this skill on our Railway). Full training will be given for any of these activities where necessary, and Health and Safety is always a priority for us. There is no need to make a regular, weekly commitment as even a monthly visit would help to keep the station looking tidy and presentable. You will need to provide your own gloves and safety boots. Safety glasses and ear defenders are available on site if necessary. When available the group also provides resources to assist other aspects of the operation of our Railway during special events (car parking, crossing monitors, etc.). Note that to work at Winchcombe in an operational role (Booking Office, Coffeepot café etc.) you will need to join the appropriate department. 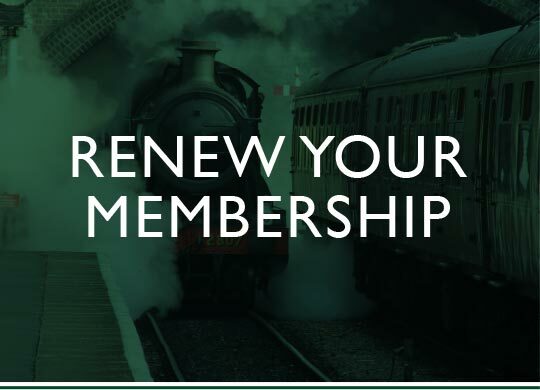 The Friends of Winchcombe station are a separate group whose key aim is to raise money for the Station's upkeep and development. 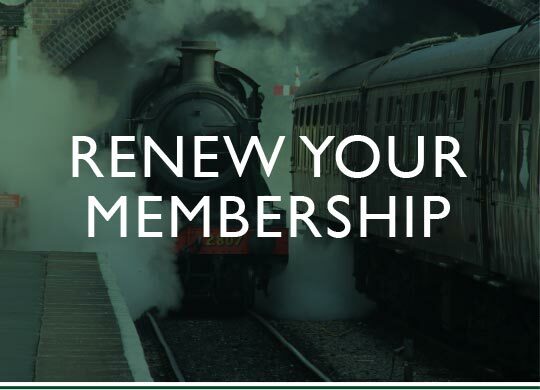 You do not need to be a member of the Friends of Winchcombe Station to join the station team but if you do want to join FOWS, in addition to membership of the Railway Trust you will need to support the local group through an annual £5 donation. The group has over 80 members and is served by a committee elected each year at an AGM. We benefit from a good atmosphere in working together and sharing ideas on the development of the station.